Since last week I retired from Wake Up Wednesday I decided that I need to have something fun to replace it! So welcome to my first edition of “Way Back Wednesday” I’ll be sharing some great posts from my first days of blogging, updated and better than ever! Enjoy!! You don’t have a copy??? What??? What rock have you been living under? That’s OK, I do, and since I am oh so generous I will share one of my favorites with you. It’s actually for Banana Bread, but I’ve adapted it and changed it into muffins. Mostly because muffins get eaten in my house before bread does. I don’t know, there seems to be this notion that while muffins are breakfast food, sweet breads are some kind of snack and can therefore not be eaten at breakfast. My kids are weird, what can I say? Combine your eggs, milk, oil, and bananas, and mix until well blended. Then add the sugar and mix it well. Next add your dry ingredients and mix until everything is nice and smooth. You can use a mixer or do it by hand, whatever works! Scoop (I use an ice cream scoop) the batter into greased or lined muffin tins, and bake for about 15-20 minutes, usually 19 exactly is just right for my oven, but for whatever reason everyone’s is different! Let them cool and Enjoy!! Just a little F.Y.I. These are super delicious with a little cream cheese on them! Good FYI! My kids would love these. 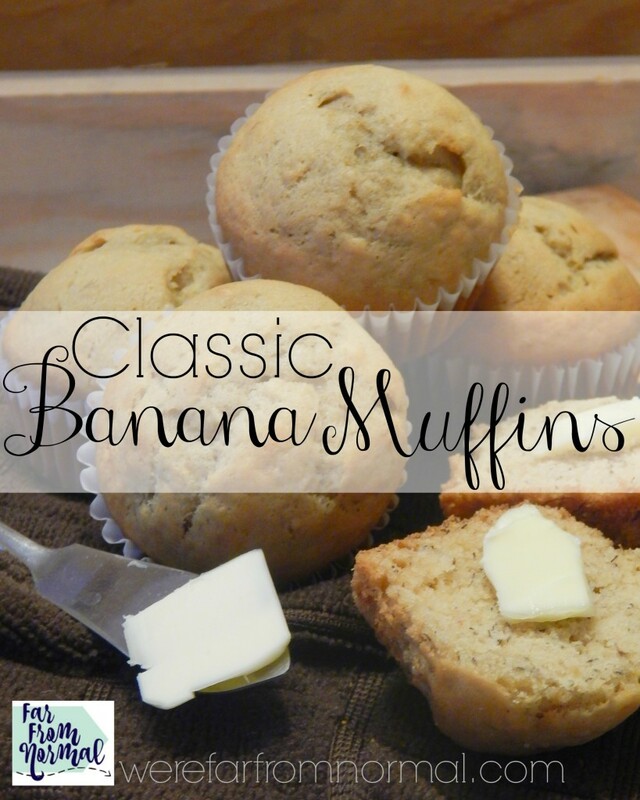 Muffins seem to be something I rarely mess up and I’m running out of banana ideas because we always seem to have extra ripe bananas around. And hey, thanks for visiting my blog! I love finding new blogs from comments on other blogs. It’s the best! Lol- you can borrow mine the next time you come to visit 🙂 It’s a real page turner!